A couple of years ago, we had a post 7 Ways To Make Use Of Evernote 7 Ways To Make Use Of Evernote Read More on the myriad uses for Evernote, which could well be an all-in-one second brain. The best part is that, unlike some of the alternatives Ditching Evernote? Check Out 5 Free Web Clipping Alternatives Ditching Evernote? 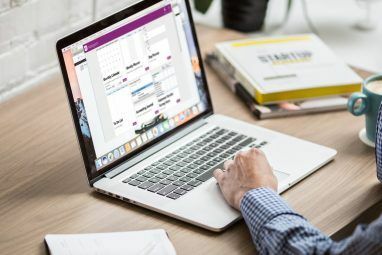 Check Out 5 Free Web Clipping Alternatives Read More , it works on many platforms and accepts information in numerous, different ways 6 Ways to Add Your Information to Evernote 6 Ways to Add Your Information to Evernote Read More . Not only that, it works with countless third-party apps 5 Simple Apps That Let You Do More With Evernote 5 Simple Apps That Let You Do More With Evernote Did you ever notice how the most popular apps & platforms have lots of additional add-ons and extensions that were created for them? 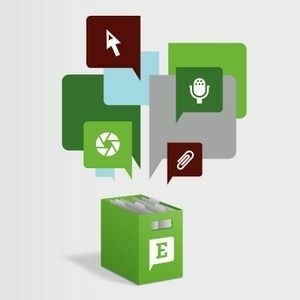 Evernote is no different - check out the Evernote Trunk and you'll... Read More as well. With the advent of improvements on the desktop clients, there have been inevitably many more uses today. Thus, here are a few more tips on using the desktop clients for Evernote. Since I prefer to use the webmail interface of Gmail and Windows Live Hotmail, I haven’t had the need to download Mozilla Thunderbird How to Set Up Mozilla Thunderbird for Auto-Responses & Scheduled Emails How to Set Up Mozilla Thunderbird for Auto-Responses & Scheduled Emails If email feels overwhelming, it may be time to set up auto-responses and scheduled emails. Here's how to do this in Mozilla Thunderbird, the cross-platform, free, and open source desktop email client. Read More , Windows Live Mail 2011, etc. However, once in a while, I use a desktop program that provides the convenient option of emailing, say, a screenshot, so having no mail client at all can sometimes be counterproductive. I’ve been using the Evernote desktop client for Windows (it works on the Mac client, too) to email text, screenshots, etc. for these occasions, which at times, is a lot faster than launching Gmail in my web browser. A tiny caveat is that Evernote posts a link to its website on the actual email, which is not a big deal, considering that it’s a free service. I don’t know if this also applies to the Android app, but with the Evernote iPhone app, it’s really a breeze to upload several photos at once to your desktop without having to pull out the USB cable, plug it in and then wait forever for iTunes to open up. This is actually how I have been able to almost instantly transfer my iPod Touch screenshots to my blog posts. The Dropbox iPhone app could be used as well, as it actually works really well to upload several iPhone screenshots at a time. However, Evernote can be a great place to archive all kinds of notes and photos, in particular, temporary screenshots, whereas Dropbox seems more like the type of service you use to back up your most current work, which a quick screenshot is usually not. Whatever you have on your desktop, whether it be a PDF file, an image, an MP3 file, an URL or any text (and more if you’re an Evernote Premium subscriber) can be quickly transferred to your mobile via the Evernote desktop program. There are apps that serve this purpose specifically and do a very good job at it, like Firefox Home, Site To Phone, Instapaper Make Instapaper Beautiful & Usable With Scripts & Apps Make Instapaper Beautiful & Usable With Scripts & Apps Read More , Read It Later, Dropbox 15 Things You Didn’t Know You Could Do with Dropbox 15 Things You Didn’t Know You Could Do with Dropbox Cloud storage services have come and gone, but Dropbox is probably the one that's been here the longest. 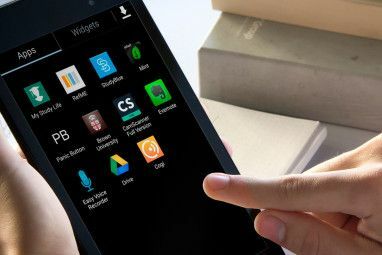 And now it has upped its game with a host of new features. Let's explore. Read More , PushBrowserApp, KeepItWith.Me, Pastefire, and AirLink, among others. Most of them transfer the information to the respective iPhone app, which you have to then open to get the information displaying on your mobile. The Evernote mobile apps can pretty much do the same thing, and they even display text and articles in mobile-friendly font sizes and all, just like Instapaper and Read It Later! Sharing any URLs is especially useful since you can just open the mobile app, find your latest note and click on the link in the note’s body. Since the desktop client offers the handy screenshot tool for both Windows and Mac, you can usually share screenshots very easily. After you’ve taken your screenshot, simply click on Share > Copy Note URL To Clipboard at the top of the note (for the Mac client, the location may differ). You’ll quickly be able to share a webpage with your screenshot, although it can be whatever you want, code, text, photos, etc. It’s sort of a quick and easy way to publish webpages with your images, text, etc. If you want to change a note and make it private, you can right-click on the note in the note list and go to Share > Stop Sharing. Dropbox’s Public folder is also a very handy way to share screenshots, but you likely need the space for current files like I mentioned before. Evernote, on the other hand, does give you 60MB for you to use every month. If you like to share your photos on Facebook, Flickr and Instagram, or any of those Top 4 Photo Websites To Share One Photo Everyday Top 4 Photo Websites To Share One Photo Everyday Read More one-photo-a-day sites Top 4 Photo Websites To Share One Photo Everyday Top 4 Photo Websites To Share One Photo Everyday Read More , then you don’t need this. 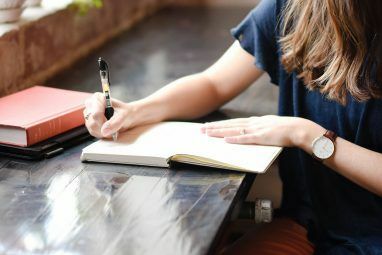 For anyone else that’s interested in private journaling 5 Ways To Use Twitter As An Online Private Diary 5 Ways To Use Twitter As An Online Private Diary Read More , Evernote is a great place to start. You can already potentially use the Evernote mobile apps to record audio notes (which I think make excellent personal keepsakes) and snap photos of anything and everything so you can keep a food photo journal, travel diary, etc. Now the desktop app adds another potential journal-friendly feature: webcam notes (on Mac, I think they’re called iSight notes). I actually thought the webcam feature in Evernote was for recording webcam videos, but it just basically takes a webcam snapshot. You can be much more creative than I am here, but the idea is that you take a self-cam often (since you’re on the computer almost daily, right?) and jot down your mood or write a few thoughts à la Twitter. In a few years, your entries might bring you a good laugh or a good refresher. Do you have any more possible uses for the Evernote Desktop Clients you wish to share? If so, let us know in the comments! Great post! Another great use for it is typing up class notes!